X Factor winners Little Mix have smashed the US chart record previously set by fellow British poplets, the Spice Girls. 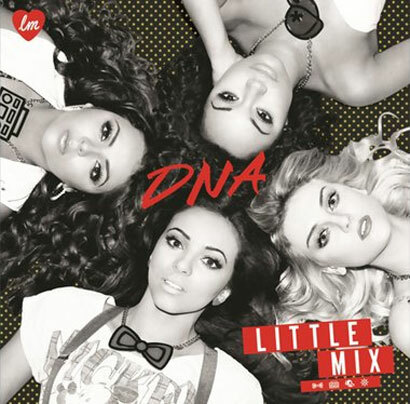 The group have become the first British girl band to debut within the top 5 in the US Billboard 100 with their first album ‘DNA’. The release peaked at number 4 in the first week of sales, beating the Spice Girls who reached number 6 back in 1997 with their debut album ‘Spice’. ‘DNA’ sold 50,109 copies to reach the number 4 spot in the US and has now reached the top five in a total of ten different countries including a number 3 peak in the UK. Jesy Nelson from the group discussed their surprise, “You know what, we feel a little bit shell-shocked, we just feel a bit overwhelmed to be honest. We've always said we wanted to be as big as the Spice Girls and that's what we're hoping to do." Perrie Edwards added "We're very very thankful, we were just sat going, 'woah, we have the best fans in the world for getting us to this stage. It's just incredible'." Perhaps their debut single ‘Wings’ being featured on hit shows ‘Glee’ and ‘American Idol’ has bumped their success slightly, but there is also definitely a gap in the market since the departure of the Spice Girls back in 1998. The Little Mix girls also performed on ‘Good Morning America’ as part of its summer concert series, which can't have hurt!